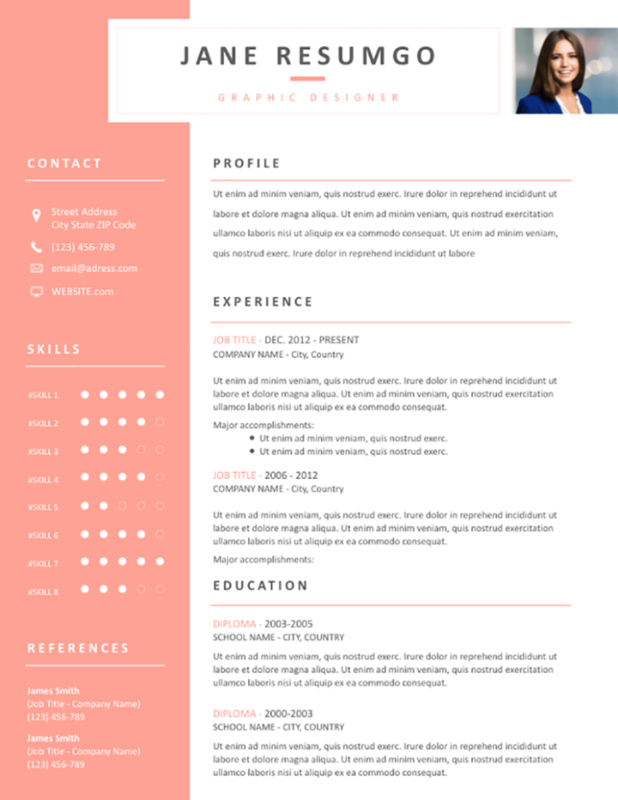 Leda is a free feminine resume template with a singular salmon-color sidebar. Two-column layout. This CV template will surely add some personality to your content! The salmon color is used for the full-height left part (background), and separation horizontal lines. On top, your name and job title go into a centered banner, partially overlapping the left banner. Your ID photo (if you want to insert one) will be placed on the right side of the header. The noticeable left column contains your contact information, your skills (5-point dot scale), and references. Finally, the main part (right) features your profile/objectives statement, experience and education.